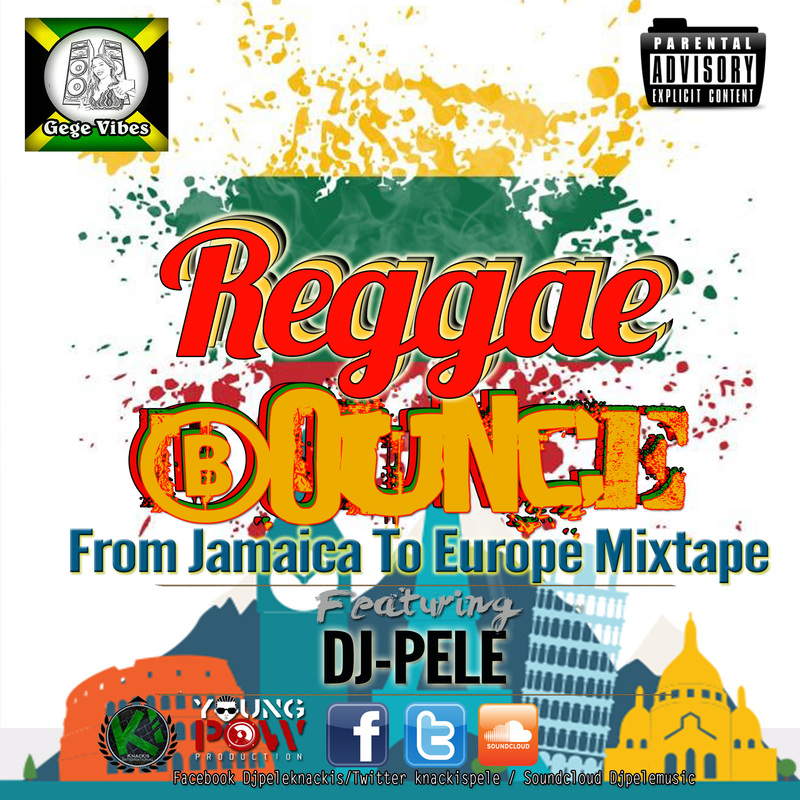 “Reggae Bounce from Jamaica to Europe” is the new mixtape mixed by Dj Pele (Young Pow Production) for Gege Vibes Magazine. Dj Pele is a popular selecter from Jamaica. He developed an early interest in music due to the vast array of Sound Systems which were booked for popular street dancers in the capital city Kingston, Sound Systems such as Killamanjaro, Stone Love, King Addies and more. These sound systems showed him from an early stage in his life what he really wanted to do : a disc jockey like no other, versatile as the best of them, one who could be a Selecta(selector) of good music and a microphone DJ as well, one that can hold the crowd maintaining their interests and energies. Moving to St. Ann he went to work for a sound system as sound engineer. “My job was to ensure that the sound system was in order and that the boxes were ok. After continuous hard work and practice I was given the chance to play on this sound system’s turn table… I remember being so nervous that I broke the needle, which wasn’t a good start, we were still using records at that time. After this initial fail, I did a pretty good job of impressing the boss by my style of play, after that I guess I was on my way to becoming a sound system selector”, he told. Dj Pele had spent almost 20 years developing and honing his skills as a disc jockey from the days of records, cassettes, CD’s, Virtual Dj to Serato. He got dubplates from a lot of artists : Stephen Marley, Damian Marley, Vybz Kartel, Popcaan, Sizzla, Romain Virgo and many more. He becomes known as one of the most rounded disc jockey of his generation in Jamaica being comfortable playing different genres of music, different spaces and different crowds. “Having a diverse knowledge base of different types of music, it has allowed me to become very good at what I do : music is my passion. Being a DJ isn’t just a job to me but is a part of me, it is what makes me who I am, playing music for different people and seeing them having a great time gives me the greatest thrill, knowing that I can make them feel the way they do”, he claimed. As the great Bob Marley says “When music hits you feel no pain”. Enjoy the “Reggae Bounce from Jamaica to Europe Mixtape” with the music of Damian Marley, Chronixx, Popcaan, Tarrus Riley, Stephen Marley, Sizzla Kalonji, Christopher Ellis, iOctane, Swele, Press Kay, Assassin aka Agent Sasco and many more. Check the Dj Pele’s upcoming European Tour this summer as well powered by Gege Vibes.